These are pretty amazing pancakes. They taste like banana bread with syrup on top. Seriously. So if you’re a banana bread fan you’re going to have to try these. They only have a few ingredients, most of which are probably already in your fridge and pantry anyway. When I took the picture, I was in such a rush to click and then eat that I forgot to add the walnuts on top. I was really mad at myself later. (I’m picturing the Little Critter book, I was so Mad!) I mean so mad that I debated remaking pancakes just so I could get that one shot that had the walnuts on top because that extra crunch is completely yummy. 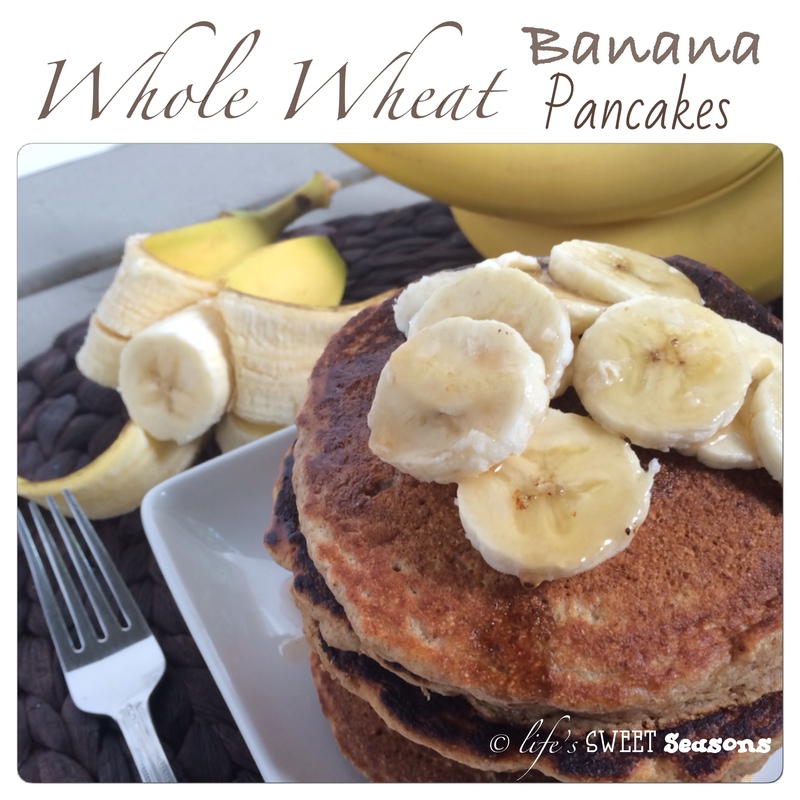 Plus it makes these healthy pancakes that much healthier once you add the nuts. Then I looked at the pile of dishes I already had waiting for me in the sink and the peanut butter that Lindsay managed to get all over the table rather than in her mouth (yeah my kids put peanut butter on all pancakes regardless of their “flavor”) and I decided that I would just have to live with the fact that walnuts were MIA for these pictures. 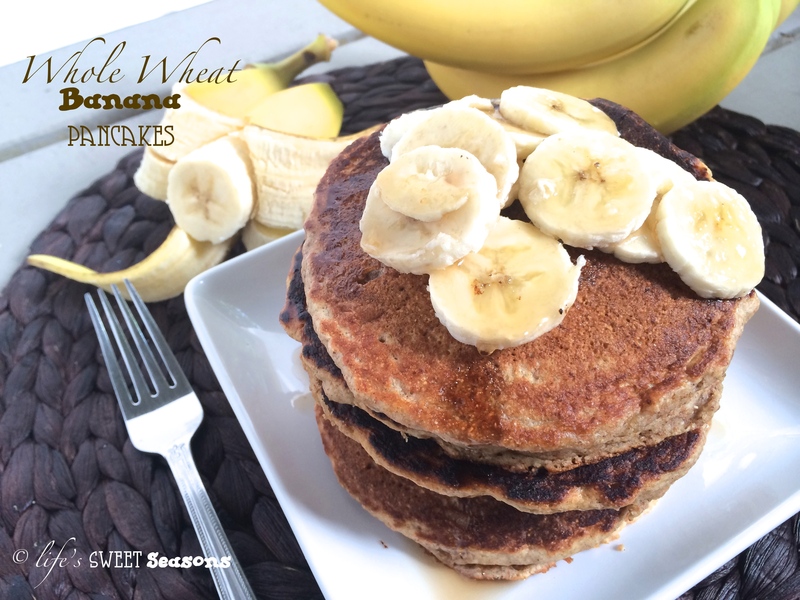 I will admit that my kids still claim that their favorite pancakes are pumpkin, but these are a close second. I will never make a plain ol’ pancake recipe again. Hooray for overripe brown bananas! Combine dry ingredients, flour, baking powder, salt, brown sugar and cinnamon in a large bowl and mix with a fork. Make a well in the middle of the bowl and add the mashed bananas. Push the mashed bananas back towards the edge of the bowl to create another well. Add the egg in the middle of the banana well and beat. Pour milk over the egg/banana well and then add vanilla and melted butter. Mix batter with a fork until just combined. Using a 1/3 measuring cup (hopefully the same one you already used) drop batter into a large oiled frying pan over medium-low heat. Flip pancakes when small bubbles begin forming on each pancake. 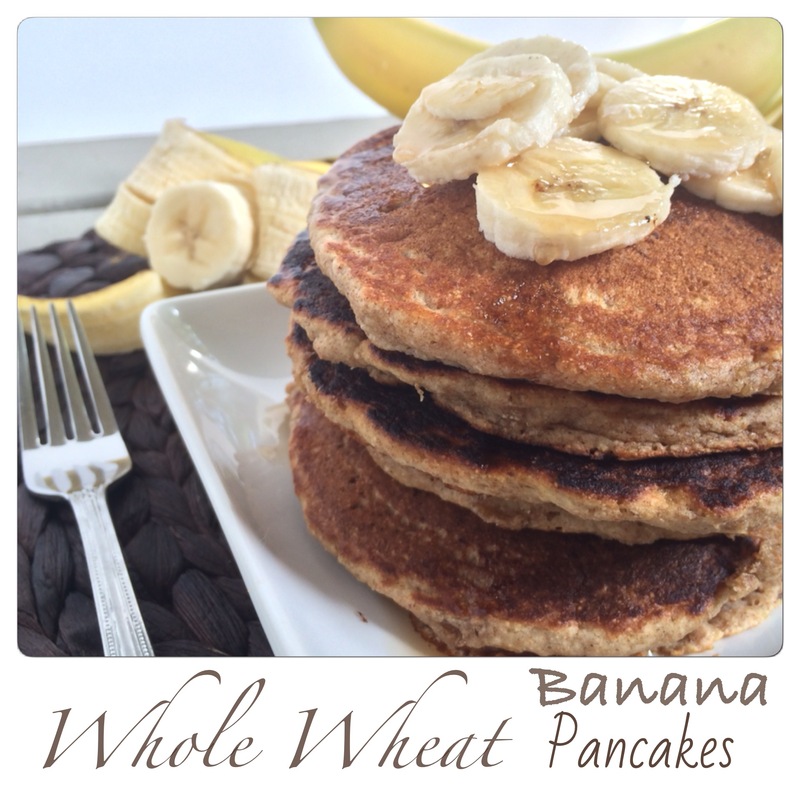 Serve warm and top with butter, bananas, walnuts, and syrup of course! 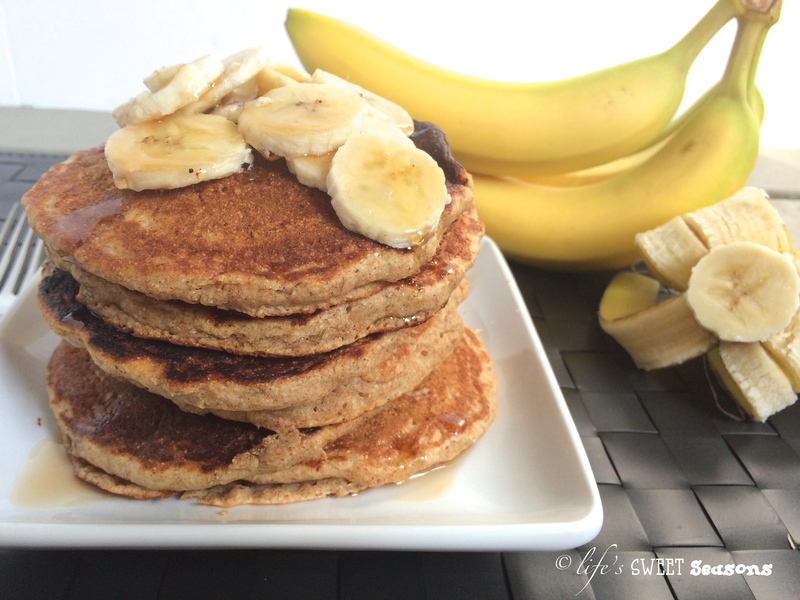 For peanut butter banana pancakes all you have to do is…well, you know.